SpreadShirt Sale – 19% off! 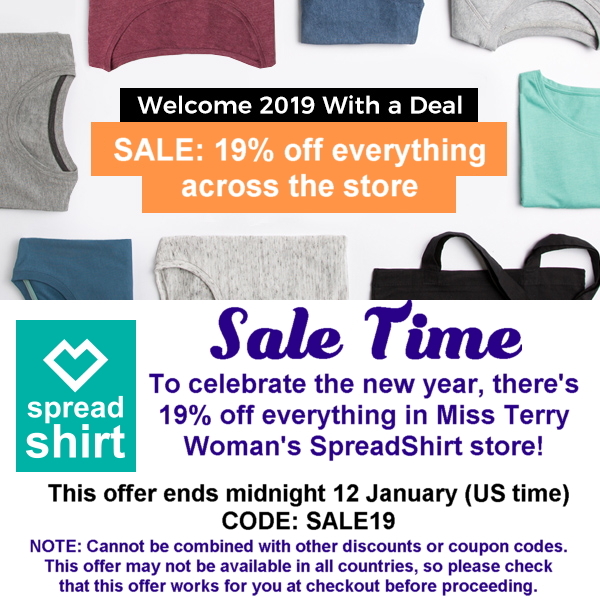 There’s 19% off everything across Miss Terry Woman’s SpreadShirt store. NOTE: Cannot be combined with other discounts or coupon codes. This offer may not be available in all countries, so please check that this offer works for you at checkout before proceeding. Eat, drink and be SCARY!! 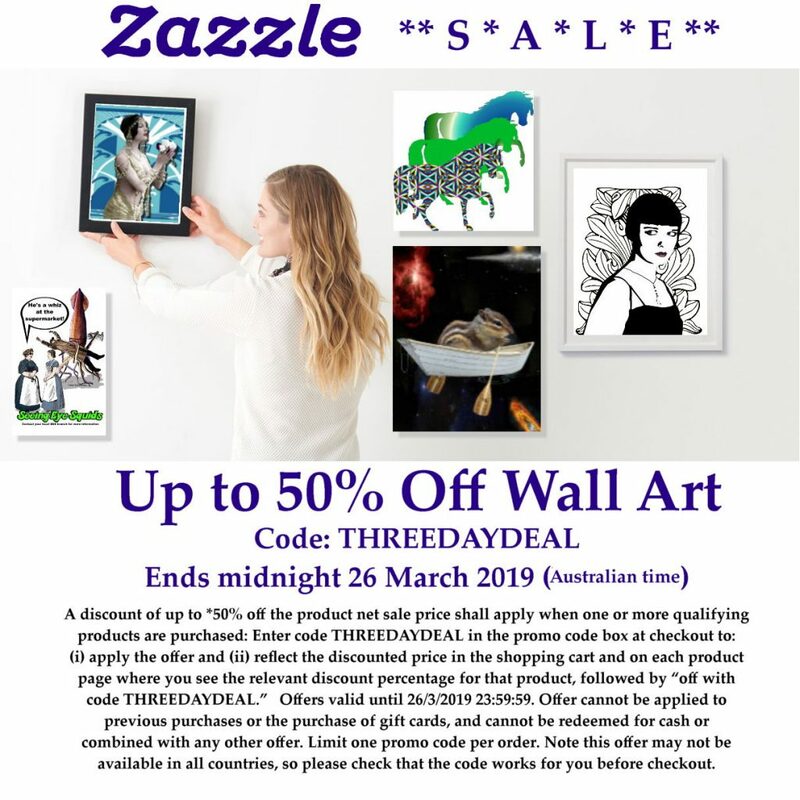 It’s time for a great sale in our Australian Zazzle store! Treat yourself to some scarily good savings! 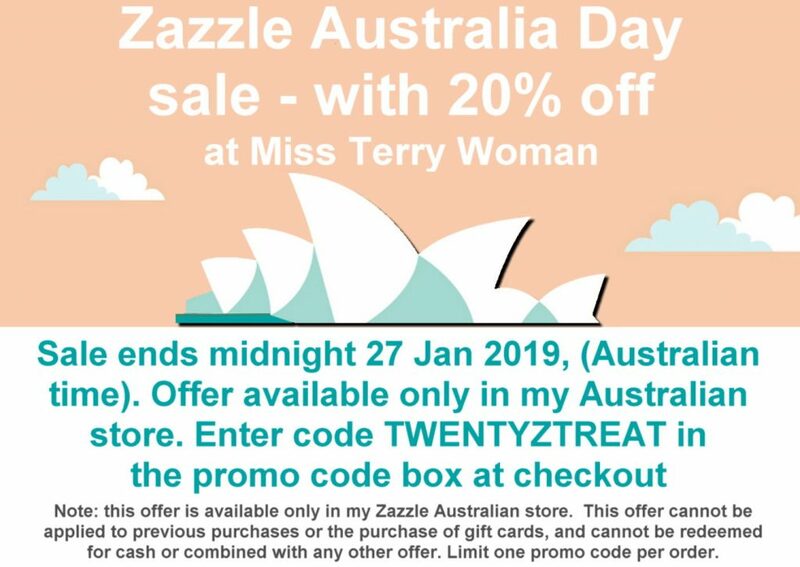 This offer is available only in the www.zazzle.com.au site. screen-printed apparel, fabric and gift cards. in our Australian Zazzle online store.